Robocalls are annoying as hell, and it seems the problem is only getting worse. But if you’re on Verizon, you may have a new way to block them with the company’s Call Filter app, which recently became free for all Verizon customers. Previously, the service—which is designed to detect and help cut down on phone spam—required a $2.99 monthly fee. However, this week, Verizon split the service into two tiers: A free tier that detects spam, filters out robocalls, and reports offending numbers to the carrier, and a new $2.99 plan that adds in additional features such as caller ID, personal spam, block lists, and even a risk meter that attempts to evaluate potentially malicious calls. Also, to help cut down on robocalls even further, Verizon says its rolling out improvements to Call Filter through the use of its STIR/SHAKEN tech, which is able to detect when spammers spoof legitimate phone numbers in order to bypass traditional blocking techniques. Here’s a chart made by Verizon illustrating the difference between Call Filter’s free features, and what you get for an additional $3 a month. However, if you’re considering purchasing the paid tier for Call Filter, I would advise to hold off unless robocalls have truly become a never-ending source of frustration. 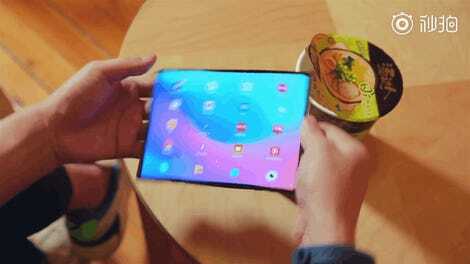 The reason is that many of Call Filter’s paid functions like caller ID and the ability to add numbers to a personal block list are features already built into a wide number of phones, while others like the risk meter are already sort of available on select phones like the Pixel 3, which flashes warning messages saying “Spam Likely” when faced with potential robocalls. 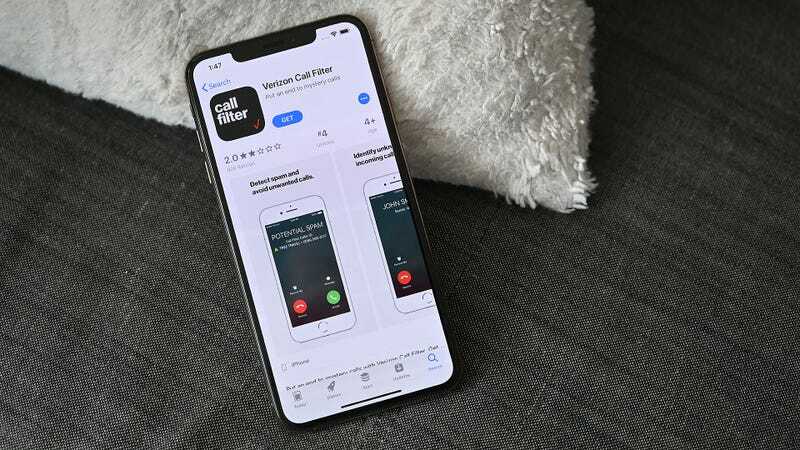 In case you were wondering about Call Filter’s two-star rating on the App Store, it seems a big reason for many of the previous low scores was Verizon’s previous $3 a month fee, something the new free tier of Call Filter should address. For Verizon customers with an iPhone, Call Filter is available as a download inside the App Store. Meanwhile, for Android phone owners, Verizon says Call Filter should already have come pre-installed on the majority of devices. Unfortunately, if its not pre-installed, there’s no way to download the app from the Google Play Store just quite yet. [Update: 4/1] Verizon Call Filter is also available on the Google Play Store as well, though it appears a number of phones are not fully supported. For a full list of compatible devices, click here.